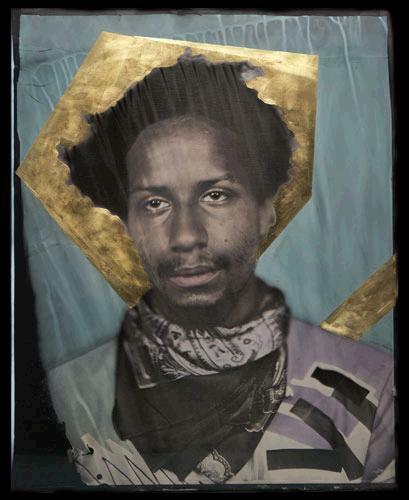 By constructing an imaginary, iconographic world, Walter & Zoniel remove their subjects from the connotations of street culture and redefine this often misunderstood sector of society. 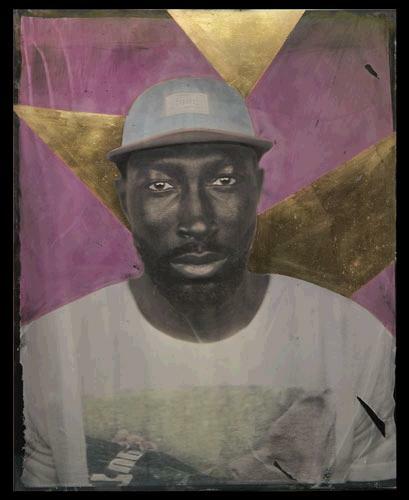 Walter & Zoniel’s Iconostatus, is formed of 18 portraits of street youths from a single road in Hackney. Inspired by religious paintings yet completely contemporary. The unique metal photographs were hand- coloured with multiple layers of acrylic paint then hand-gilded with 24 carat gold leaf. The resulting work bears the marks of its creation – striations, brush strokes and fingerprints – challenging the idea that beauty is synonymous with perfection.